It used to be back in the old days if you got involved in network marketing you would need to make a list of 20 or 30 people you knew and then approach them about your new product or service. This will usually only work if you have a good sphere of influence and a network of people who have open mindsets and a disposable income to spend. Once you go through your network you are left with nothing to do or the dreadful thought of having to go out and talk to strangers. Unless you’re a unique individual the idea of cold calling in person or on the phone is pretty disheartening for most of us. My thought process is if I do something and it’s super painful – I’m probably not going to attract the right people to my business. So with that being said here are 3 more online network Marketing Tips You Can Use To Help Your Business. This is a follow up to my last blog 5 Cost Effective Ways To Market Your Business Online. In my last blog post I shared 5 things that you can do online to market your business. In todays post, I wanted to share 3 other things you can do. If you have not yet read my other post you can click on it here. Facebook Groups– Facebook now has over 2 Billion Active Users worldwide and I find this to be the best place out of all The Social Media Networks to get partners for your business. Create a Facebook Group that is relevant to your business. I have created several and one of the most popular ones is Become an MLM Superstar. I think this group has over 3,000 members (mostly people interested in networking who are outside of my personal network). It’s my group so I get to control what gets posted and I can post anytime I want to this group. I usually will use this as a way to advertising my blog vs.spamming links. So if you write an article or your company comes out with a new product this is a great way to share it. If you’d like to join my group on Facebook Click here. It’s also a good idea to join other groups that are relevent to your products/services/industry and share to those groups as well. This is a great way to get your message out there and will help you get more good quality leads. Boosting Posts – Now you’re going to need a Facebook Business Page to do this, but this can be a very affordable way to get your message out there. It’s very easy to set up and you don’t have to have alot of page likes to use it. You simply post something relevant to your business and boost your post. You can boost it for 7 days for anywhere from $5 to $25 (the choice is yours). I recommend starting with a small budget and look at it every few days to see how you are doing. If you want likes and comments on your post that would be a brand awareness campaign. If you want leads then you need to go with a website link (landing page) and get people to go there. Solo Ads – are a popular way to reach out to your targeted audience via email without actually having a list of your own. Think of it like renting a list. Someone like myself with a large following of several thousand people can be targeted to for a fee of $30 to $100. Most of these prospects are interested in what you have to offer and you will generally get anywhere from 15 to 25 fresh leads from just one solo ad campaign. The only requirement here is that you hire a reputable marketer to send your email out and you will need to be a decent copywriter or hire one. One of the best sites I have found for solo ads is Udimi. You can get started by clicking here. I hope all the above helps you grow your network marketing business. Keep in mind that you don’t need to master all the above to have success online, just a few marketing tactics will get you a steady flow of leads without breaking the bank without having to go out and cold call on people. If you’re anything like me and want to use Facebook to market your business, you will need to set up a Facebook Business Page aka Fan Page. Why is this important? Because without it, you will have a difficult time promoting your brand, service, or product. The trick is what to do you do once you set up your page to get more followers? To get more followers in the beginning you simply send a invite to everyone who is your friend on your personal page. This will get the ball rolling and should get you anywhere from 50 to 200 followers quickly. You also may want to post a status update on your personal page about your new fan page and/or group. You could also ask some of your friends with big followings or influencers if they would be willing to put a shout out for you. Once you do this — you are on your way. Next you want to be sure that you post regularly. Always try and come up with good content and post once per day if you can. This will get people coming to your page often and should get you new followers weekly. 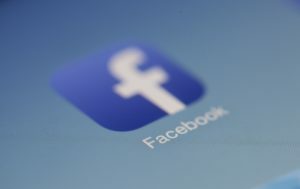 I don’t think its necessary to post more than one time per day — less is bet on Facebook and consistency is very important. If you plan on doing advertising to promote your page this is another great way to get followers. Keep in mind that you don’t want to pay too much per like, so test some different campaigns to see which works the best and try to keep each like to less than 50 cents each (preferably around 15 to 20 cents). If you’re on Instagram make sure to connect your Instagram page to your Facebook Fan Page. This will also allow you to post pictures and videos from Instragram page directly to your Facebook Page and this should help you get more likes as well. You may also try and follow some influencers in your niche from your Facebook Fan Page not your personal page and like and comment on interesting posts, this will also get you some likes. If you really want to get a ton of followers fast you can always pay a social media expert to get you lots of likes. Typically you can pay anywhere from $50 to $1000 to jumpstart your page. The only downside with this strategy is it may be a lot of followers who really have no interest in your niche. I have used this strategy above with a few who just wanted a large following fast. If you do the latter strategy do not stop there always be promoting. Finally, if you blog or do videos, make sure to always post those to your page as well. This is a great way to keep it interesting and build value with your audience on a regular basis. If you’re a business owner and thinking of now putting your business on a social media platform or if you have already done so, but are not getting the results you had hoped for. You need to read this post. Social media is not a place where you constantly want to post advertisements about your business, its a place to share ideas, business achievements, and most importantly learn to engage with others. Social Media isn’t just a fad. Honestly, a few years ago I often wondered if all the popular social media sites would come to an end or lose their popularity. It is now becoming apparent that surely is not the case. In fact, many social media sites like Twitter, LinkedIn, Facebook, and most recently Snapchat (Snap Inc.) are now publicly traded on The NYSE and Nasdaq. It’s actually very simple, you are either going to promote YOU, your Business, or both. Whatever you decide — the most important thing you can do is not overwhelm yourself with too many sites. You need to pick one or two of your favorite social platforms and simply get active. How do you get active? Just post 1 or 2 times per day and connect with others. Engage in conversations and spend a few minutes per day liking and commenting on others posts. By doing this strategy you will slowly but surely begin to build up a presence and a following. Once you get to where you have over a few hundred followers on any platform you will begin to see more and more likes and engagement on your posts. Once your following grows and you are on more than a few platforms you will want to consider using tools to automate your posts. A few that I like to use on a regular basis are Hootsuite, Socialoomph, Klout, and Facebook App & Facebook Page Manager (for smartphone). By using some of these tools you will save yourself time and money. As your goal with social media isn’t just to connect with others, but to be smart with your time, so you don’t waste hours online moving yourself further away from your business objectives. Make sure that you promote your business only around 20% of the time or if you need to do more that its more informative marketing. People on social media like to see things and share things that inform them. I can promise you that if you constantly market your business and don’t offer creative innovative content that you will lose your audience. You wouldn’t run a TV Station and constantly air commercials. If you plan on using social media to get customers for your business — really pay attention and don’t over do it. Make sure to track leads and updates (especially the ones that you are paying for) so you know which types of posts are getting the most engagement. If you find that your posts are getting little or no engagement than simply change it up. Just like anything learn and become more effective with your messaging and this should help you get more of the results that you are looking for. If you like this post be sure to sign up for my free ebook “Social Media Tips & Tricks” on this page. 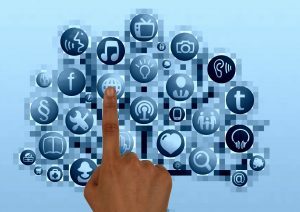 Top 10 Social Media Marketing Tips! If you are on Social Media and are either promoting a business or thinking about it, you will want to be consistent in your activities. In this post I have posted 10 of my top 10 Social Media Marketing Tips to help promote your business on the different social media platforms. Connect often and engage (don’t just post — engage with your audience). Have Fun! You wouldn’t go to a party and not have fun. Social Media is all about being at a party online — so make sure you have fun with it. There are a few tips to get you going on social media. If you’d like to get more tips on Social Media Marketing make sure to pick up a free copy of my ebook on this site today. 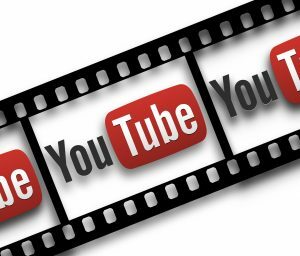 Can you use YouTube to market your business online? Yes, you can. In fact, I’ve got a few videos running right now that are getting me a steady flow of leads every day for my home based business. The thing I love about YouTube is that you can create a video once, put in a few search terms that people might use to find your video and then get up and walk away and never even touch the video ever again. I’ve done this time and time again and that is why out of all the popular ways there are to promote your business online this has to be my all-time favorite. Unlike Google AdWords or Social Media you constantly have to stay on top of it and monitor it regularly until you get it right. It can take awhile to get it all on auto drive. Not so with YouTube, in fact if you make a handful of videos in your first few months on Youtube you should have a few that do well right away. It’s pretty simple to get going, you just need a camera and a mic (most smart phones and computers already have). Make a short video 5 t0 10 minutes in length if possible. I find that videos over 15 minutes don’t get near the hits are engagement as the shorter ones. Don’t ask me why just what I have found the case to be. Once you record your video and upload it add a good description and make sure to put your website in your description so people can get back to you. I get lots of comments and likes on my video’s but my goal is to get people to get on my email list, so I can build a long term relationship with them, but many will probably just subscribe to your video channel. Not every video will be a hit, but I can promise you that if you stay consistent with it, you will make money from it. Pinterest is a catalog social media site of pictures and ideas from travel to business to the latest & greatest recipes to stir up your belly or even your love life. I’ve been on Pinterest for a few years now and find it to be one of the most interesting social media sites and most fun too. Not unlike Instagram as you just post pictures (pin it), but more informative. In the pictures (you upload or share) you must describe your picture so it shows up in The Pinterest Searches. I’ve personally used Pinterest for recipes when cooking, making travel plans, and I personally love all the funny pictures, jokes, and quotes (great way to start your day with a big smile). 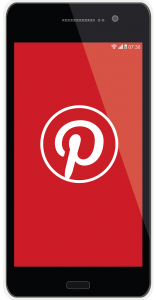 Here are some tips I have found useful for using Pinterest as a valuable tool to promote my businesses, blog, and brand over the past few years. Pin Often (at least 1 time per day) Post your own pics or find pics that are relevant to your brand or business. #Hashtags don’t matter on PInterest, but you must describe your picture in detail or know one will ever find it. Boards & lots of them – pin to your boards regularly or they will get lost in SEO (Search Engine Optimization). Set Up a Business Page on Pinterest (not personal) especially if you’re going to be using Pinterest for Brand Awareness. Once you’re using Pinterest on a regular basis you’ll want to use Pinterest Analytics to see how you’re doing. Engage with Others. If someone reaches out to you or makes a comment don’t ignore. You never know who your next customer might be. If you’d like to get up to speed on Social Media Marketing make sure to download a free copy of my ebook on this website “Social Media Tips & Tricks for Business” and absolutely make sure to follow me on Pinterest.